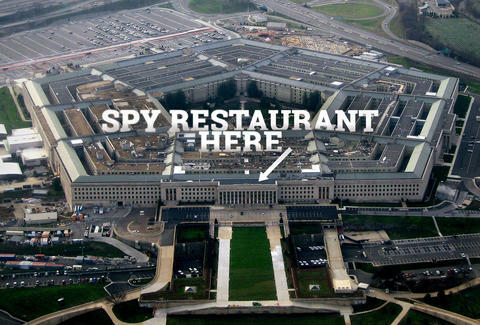 Previously, the Pentagon was more known for that homeland security stuff than for food -- unless you count their feud with Five Guys. But that's about to change, as the man behind Restaurant: Impossible is taking up residence in the nation's most famous five-sided building. Robert Irvine announced via Twitter on Monday that he had a Pentagon restaurant in the works, though people were a little skeptical about accepting a tweet from a super-jacked British dude with an emoji in it as law. But after word from Irvine's spokesperson and the Pentagon press secretary, it sounds like this is actually happening, which is great news for military guys who work there. The Pentagon food court is kinda famously sad, so Irvine's food is sure to be a hit. No real details on what kind of restaurant he has planned yet, but we're definitely interested to see how Irvine gets his trademark sledgehammer through security. Kristin Hunt is a food/drink staff writer for Thrillist, and has to fight the urge to answer all her calls as "the Pentagon" each day. Follow her at @kristin_hunt.